The fan features a unique bladeless design with three fan speed level for low, medium and high. Great for childrena? ?s safety and easy to use. Aerodynamically made, it can absorb wind from all 360 degrees and provides powerful and soft breeze. In addition, it may lead to minimal noise (up to 80dBA) due to bladeless fan technology. 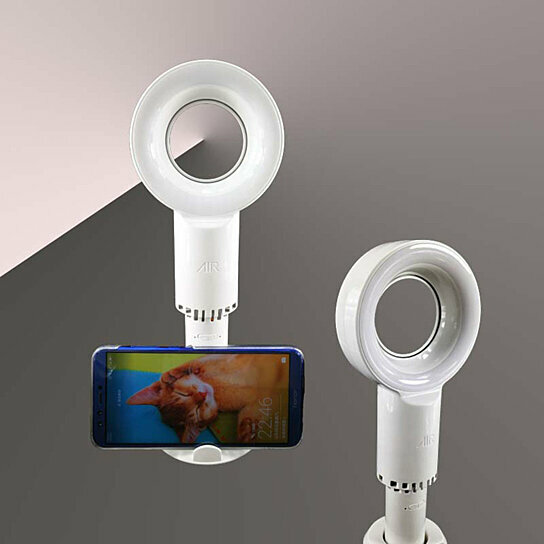 One switch to control the fan speed, and chargeable with USB cable. Convenient LED light shows red flash when it is charging and red stable when it is completed. Due to the light and screen setting difference, the item.s color may be slightly different from the pictures.